K.A. Steidinger - dinophytas Webseite! 102) Steidinger K.A. (2009) Historical perspective on Karenia brevis red tide research in the Gulf of Mexico. Harmful Algae 8(4): 549-561. 101) Heil C.A. & K.A. Steidinger (2009) Monitoring, management, and mitigation of Karenia blooms in the eastern Gulf of Mexico. Harmful Algae 8(4): 611-617. 100) Akselman R., S. Fraga & K.A. Steidinger (2008) Enrique Balech (1912-2007). Harmful Algae 7(6): 713-716. 99) Steidinger K.A., Wolny J.L. & A.J. Haywood (2008) Identification of Kareniaceae (Dinophyceae) in the Gulf of Mexico. Nova Hedwigia 133: 269-284. 98) Steidinger K.A., J.H. Landsberg, L.J. Flewelling & B.A. Kirkpatrick (2008) Toxic dinoflagellates, pp. 239-256. In Walsh et al. (Eds) Oceans and Human Health, Academic Press, Burlington, MA. 97) Steidinger K.A., Faust M.A. & Hernandez-Becerril D. (2008) Dinoflagellates of the Gulf of Mexico. In Tunnell W., Felder D. & Camp D. (Eds.) Gulf of Mexico: Its Origins, Waters, and Marine Life, Biota volume. Texas A&M University Press, College Station, TX. In Press. 96) Steidinger K.A., J.A. Tustison, R.H. Weisberg, A. Barth & C.A. Heil (2008) Retrospective GIS analyses of the Florida Red Tide database. In Moestrup (ed.) Harmful Algae 2006. ISSHA, UNESCO. In Press. 95) Steidinger K.A. 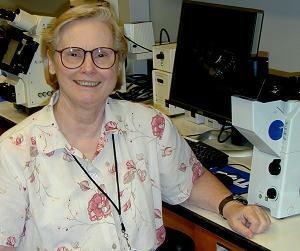 (2008) Historical perspective on Karenia brevis red tide research in the Gulf of Mexico. Submitted. 94) Haywood A.J., C.A. Scholin, R. Marin III, K.A. Steidinger, C. Heil & J. Ray (2007) Molecular detection of the brevetoxin-producing dinoflagellate Karenia brevis (Dinophyceae) and closely related species using rRNA-targeted probes and a semi-automated sandwich hybridization assay. J. Phycol.43: 1271-1286. 93) Milroy S.P., D.A. Dieterle, R. He, G.J. Kirkpatrick, K.M. Lester, K.A. Steidinger, G.A. Vargo, J.J. Walsh & R.H. Weisberg (2007) A three-dimensional biophysical model of Karenia brevis dynamics on the west Florida shelf: A look at the physical transport and zooplankton grazing controls. Cont. Shelf Res. 28 112-136. 92) Mason P.L., R.W. Litaker, H.J. Jeong, J.H. Ha, K.S. Reece, W.K. Vogelbein, N.A. Stokes, J.Y. Park, K.A. Steidinger, M.W. Vandersea, S. Kibler & P. A. Tester (2007) Description of a new genus of Pfiiesteria-like dinoflagellate, Luciella gen. nov. (Dinophyceae), including two new species: Luciella masanensis sp. nov. and Luciella atlantis sp. nov. J. Phycol. 43: 799-810. 91) Steidinger K.A., J. Landsberg, P. Mason, W. Vogelbein, P. Tester & W. Litaker (2006) Cryptoperidiniopsis brodyi gen. et sp. nov. (Dinophyceae), a small lightly armored dinoflagellate in the Pfiesteriaceae. J. Phycol. 42: 951-961. 90) Walsh J.J., J.K. Jolliff, B.P. Darrow, J.M. Lenes, S.P. Milroy, A .Remsen, D.A. Dieterle, K.L. Carder, F.R. Chen, G.A. Vargo, R.H. Weisberg, K.A. Fanning, F.E. Muller-Karger, E. Shinn, K.A. Steidinger, C.A. Heil, C.R. Tomas, J.S. Prospero, T.N. Lee, G.J. Kirkpatrick, T.E. Whitledge, D.A. Stockwell, T.A. Villareal, A.E. Jochens & P.S. Bontempi (2006) Red tides in the Gulf of Mexico: Where, when, and why? J. Geophys. Res. 111, C11003, doi: 10.1029/2004JC002813. 89) Maier Brown A.F., Q. Dortch, F.M. Van Dolah, T.A. Leighfield, W. Morris, A.E. Thessen, K.A. Steidinger, B. Richardson, C.A. Moncreiff & J.R. Pennock (2006) Effect of salinity on the distribution, growth, and toxicity of Karenia spp. Harmful Algae 5: 199-212. 88) Steidinger K. & E. Garcés (2006) Importance of life cycles in the ecology of harmful microalgae, pp. 37-49. In E. Granéli and J. T. Turner (eds) Ecology of Harmful Algae, Springer-Verlag Berlin. 87) Landsberg J.H., Hall S., Johannessen J.N., White K.D., Conrad S.M., Abbott J.P., Flewelling L.J., Richardson R.W., Dickey R.W., Jester E.L.E., Etheridge S.M., Deeds J.R., Van Dolah F.M., Leighfield T.A., Zou Y., Beaudry C.G., Benner R.A., Rogers P.L., Scott P.S., Kawabata K., Wolny, J.L. & Steidinger K.A. (2006) Saxitoxin puffer fish poisoning in the United States, with the first report of Pyrodinium bahamense as the putative toxin source. Environ. Health Perspect. 114: 1502-1507. 86) Flewelling L.J., J.P. Naar, J.P. Abbott, D.G. Baden, N.B. Barros, G.D. Bossart, M-Y.D. Bottein, D.G. Hammond, E.M. Haubold, C.A. Heil, M.S. Henry, H.M. Jococks, T.A Leighfield, R.H. Pierce, T.D. Ptichoford, S.A. Rommel, P.S. Scott, K.A. Steidinger, E.W. Truby, F.M. Van Dolah & J.H. Landsberg (2005) Brevetoxicosis: Red tides and marine mammal mortalities. Nature 435(7043): 755-756. 85) Litaker R.W., K.A. Steidinger, P.L. Mason, J.H. Landsberg, J.D. Shields, K.S. Reece, L.W. Haas, W.K. Vogelbein, M.W. Vandersea, S.R. Kibler & P.A. Tester (2005) The reclassification of Pfiesteria shumwayae: Pseudopfiesteria, gen. nov. J. Phycol. 41: 643-651. 84) Steidinger K.A., J.H. Landsberg, C.R. Tomas & G.A. Vargo (Eds.) (2004) Harmful Algae 2002. Florida Fish and Wildlife Conservation Commission, Florida Institute of Oceanography, and Intergovernmental Oceanographic Commission of UNESCO. 83) Dixon L.K. & K.A. Steidinger (2004) Correlation of Karenia brevis presence in the eastern Gulf of Mexico with rainfall and riverine flow. In: K. A. Steidinger, J. H. Landsberg, C. R. Tomas, and G. A. Vargo (Eds.). Harmful Algae 2002. Florida Fish and Wildlife Conservation Commission, Florida Institute of Oceanography, and Intergovernmental Oceanographic Commission of UNESCO. 82) Haverkamp D., K.A. Steidinger & C.A. Heil (2004) HAB monitoring and databases: The Florida Karenia brevis example. In S. Hall, S. S. Ethridge, D. Anderson, J. Kleindinst. M. Zhu, and Y. Zou (eds) Harmful Algae Management and Mitigation. Asia-Pacific Economic Cooperation (Singapore): APEC Publication #204-MR-04.2. 81) Haywood A.J., K.A. Steidinger, E.W. Truby, P.R. Bergquist, P.L. Bergquist, J. Adamson & L. MacKenzie (2004) Comparative morphology and molecular phylogenetic analysis of three new species of the genus Karenia (Dinophyceae) from New Zealand. J. Phycol 40:165-179. 80) Millie D.F., H.J. Carrick, P.H. Doering & K.A. Steidinger (2004) Intra-annual variability of water quality and phytoplankton in the North Fork of the St. Lucie River Estuary, Florida (USA): A quantitative assessment. Estuar. Coast. Shelf Sci. 61:137-149. 79) Naar J., J. Kubanek, A. Weidner, A. Bourdelais, L. Flewelling, K.A. Steidinger & D. Baden (2004) Brevetoxin depuration in shellfish via production of non-toxic metabolites: consequences for seafood safety and the environmental fate of biotoxins. In: K. A. Steidinger, J. H. Landsberg, C. R. Tomas, and G. A. Vargo (Eds.). Harmful Algae 2002. Florida Fish and Wildlife Conservation Commission, Florida Institute of Oceanography, and Intergovernmental Oceanographic Commission of UNESCO. 78) Neely M.B., E. Bartels, J. Cannizzaro, K. Carder, P. Coble, D. English, C. Heil, C., Hu, J. Hunt, J. Ivey, G. McRae, E. Muelle, E. Peebles & K.A. Steidinger (2004) Florida's black water event. In: K. A. Steidinger, J. H. Landsberg, C. R. Tomas, and G. A. Vargo (Eds.). Harmful Algae 2002. Florida Fish and Wildlife Conservation Commission, Florida Institute of Oceanography, and Intergovernmental Oceanographic Commission of UNESCO. 77) Pigg R.J., D. Millie, K.A. Steidinger & B. Bendis (2004) Relating cyanobacterial abundance to environmental parameters in the Lower St Johns River Estuary. In: K.A. Steidinger, J.H. Landsberg, C.R. Tomas, and G.A. Vargo (Eds.). Harmful Algae 2002. Florida Fish and Wildlife Conservation Commission, Florida Institute of Oceanography, and Intergovernmental Oceanographic Commission of UNESCO. 76) Vargo G., C. Heil, D. Ault, M. Neely, S. Murasko, J. Havens, K. Lester, L. Dixon, R. Merkt, J. Walsh, R. Weisberg & K.A. Steidinger (2004) Four Karenia brevis blooms: A comparative analysis. In: K. A. Steidinger, J. H. Landsberg, C. R. Tomas, and G. A. Vargo (Eds.). Harmful Algae 2002. Florida Fish and Wildlife Conservation Commission, Florida Institute of Oceanography, and Intergovernmental Oceanographic Commission of UNESCO. 75) Walsh J. & K.A. Steidinger (2004) Program Overview of ECOHAB: Florida. In: K. A. Steidinger, J. H. Landsberg, C. R. Tomas, and G. A. Vargo (Eds.). Harmful Algae 2002. Florida Fish and Wildlife Conservation Commission, Florida Institute of Oceanography, and Intergovernmental Oceanographic Commission of UNESCO. 74) Weidner A.L., J. Naar, K.A. Steidinger, R. Pierce, M. Henry, L. Flewelling & D. Baden (2004) Variability of brevetoxin accumulation levels within individual shellfish in common beds during Karenia brevis blooms. In: K. A. Steidinger, J. H. Landsberg, C. R. Tomas, and G. A. Vargo (Eds.). Harmful Algae 2002. Florida Fish and Wildlife Conservation Commission, Florida Institute of Oceanography, and Intergovernmental Oceanographic Commission of UNESCO. 73) Litaker R.W., M.W. Vandersea, S.R. Kibler, K.S. Reece, N.A. Stokes, K.A. Steidinger, D.F. Millie, B.J. Bendis, R.J. Pigg & P.A. Tester (2003) Identification of Pfiesteria piscicida (Dinophyceae) and Pfiesteria-like organisms using internal transcribed spacer-specific PCR assays. J. Phycol. 39:754-761. 72) Steidinger K.A. (2003) Meeting report: Xth international conference on harmful algae, St. Pete Beach, Florida, October 21-25, 2002. Protist 154:11-16. 71) Kempton J.W., J. Wolny, T. Tengs, P. Rizzo, R. Morris, J. Tunnell, P. Scott, K.A. Steidinger, S.N. Hymel & A.J. Lewitus (2002) Kryptoperidinium foliaceum blooms in South Carolina: A multi-analytical approach to identification. Harmful Algae 1:383-392. 70) Naar J., A. Bourdelais, C. Tomas, J. Kubanek, P.L. Whitney, L. Flewelling, K.A. Steidinger, J. Lancaster & D.G. Baden (2002) A competitive ELISA to detect brevetoxins from Karenia brevis (formerly Gymnodinium breve) in seawater, shellfish, and mammalian body fluid. Environ. Health Perspect. 110:179-185. 69) Steidinger K.A. (2002) Red tides and other harmful algal blooms, pp. 2685-2693. In G. Bitton (Ed.). The Encyclopedia of Environmental Microbiology. J. Wiley and Sons. 68) Steidinger K.A., J. Landsberg, R.W. Richardson, E. Truby, B. Blakesley, P. Scott, P. Tester, T. Tengs, P. Mason, S. Morton, D. Seaborn, W. Litaker, K. Reece, D. Oldach, L. Haas & G. Vasta (2001) Classification and identification of Pfiesteria and Pfiesteria-like species. Environ. Health Perspect. 109(S5):661-665. 67) Walsh J.J. & K.A. Steidinger (2001) Saharan dust and Florida red tides: The cyanophyte connection. J. Geophys. Res. 106(C6)11597-11612. 66) Oldach D.W., C.F. Delwiche, K.S. Jkobsen, T. Tengs, E.G. Brown, J.W. Kempton, E.F. Schaefer, H.A. Bowers, H.B. Glasgow Jr., J.M. Burkholder, K.A. Steidinger & P.A. Rublee (2000) Heteroduplex mobility assay-guided sequence discovery: Elucidation of the small subunit (18S) rDNA sequences in Pfiesteria piscicida and related dinoflagellates from complex algal culture and environmental sample DNA pools. Proc. Natl. Acad. Sci. USA 97: 4303-4308. 64) Kumpf H., K.A. Steidinger & K. Sherman (Eds.) (1999) The Gulf of Mexico Large Marine Ecosystem. Blackwell Science, Inc., Massachusetts. 63) Kusek K., G. Vargo & K.A. Steidinger (1999) Gymnodinium breve in the field, in the lab, and in the newspapers- A scientific and journalistic analysis of Florida red tides. Contrib. Mar. Sci. 34. 62) Landsberg J.H., G.H. Balazs, K.A. Steidinger, D.G. Baden, T.M. Work & D.J. Russell (1999) The potential role of natural tumor promoters in marine turtle fibropapillomatosis. J. Aquat. Anim. Health. 11: 199-210. 61) Steidinger K.A., J.H. Landsberg, E.W. Truby & B.S. Roberts (1998) First report of Gymnodinium pulchellum (Dinophyceae) in North America and associated fish kills in the Indian River, Florida. J. Phycol. 34 (3): 431-437. 60) Steidinger K.A., G.A. Vargo, P.A. Tester & C.R. Tomas (1998) Bloom dynamics and physiology of Gymnodinium breve with emphasis on the Gulf of Mexico, pp.133-153. In D. M. Anderson, A. D. Cembella and G. M. Hallegraeff (Eds.). Physiological Ecology of Harmful A!gal Blooms. Springer- Verlag, Berlin. 59) Steidinger K.A., P. Carlson, D. Baden, C. Rodriguez & J. Seagle (1998) Neurotoxic shellfish poisoning due to toxin retention in the clam Chione cancellata, pp. 457-458. In B. Reguera, J. Blanco, M. L. Fernandez and T. Wyatt (Eds.) Harmful Algae. Xunta del Galicia and UNESCO. 58) Steidinger K.A., D.A. Stockwell, E.W. Truby, W.J. Wardle, Q. Dortch & F.M. Van Dolah (1998) Phytoplankton Blooms off Louisiana and Texas, May to June, 1994, pp. 13-17. In R. Zimmerman (Ed.) Characteristics and Causes of Texas Marine Strandings. U. S. Dept. Commerce, NOAA Tech Rep. NMFS 143, 85p. 57) Faust M.A. & K.A. Steidinger (1998) Bysmatrum gen. nov. (Dinophyceae) and three new combinations for benthic scrippsielloid species. Phycol. 37: 47-52. 56) Landsberg J.H. & K.A. Steidinger (1998) A historical review of Gymnodinium breve red tides implicated in mass mortalities of the manatee (Trichenchus manatus laticostri) in Florida, USA, pp. 97- 100. In B. Reguera, J. Blanco, M. L. Fernandez and T. Wyatt (Eds.) Harmful Algae. Xunta del Galicia and UNESCO. 55) Stumpf R.P., V. Ransibrahmanakul, K.A. Steidinger & P.A. Tester (1998) Observations of sea surface temperature and winds associated with Florida, USA, red tides (Gymnodinium breve blooms), pp. 145-148. In B. Reguera, J. Blanco, M. L. Fernandez and T. Wyatt (Eds.) Harmful Algae. Xunta del Galicia and UNESCO. 54) Tester P.A., R.P. Stumpf & K.A. Steidinger (1998) Ocean color imagery: What is the minimum detection for Gymnodinium breve blooms. pp. 149-150. In B. Reguera, J. Blanco, M. L. Fernandez and T. Wyatt (Eds.) Harmful Algae. Xunta del Galicia and UNESCO. 53) Steidinger K.A. & K. Tangen (1997) Dinoflagellates, pp. 387-584. In: C. R. Tomas (Ed.) Identifying Marine Phytoplankton. Academic Press, San Diego. 52) Tester P.A. & Steidinger K.A. (1997) Gymnodinium breve red tide blooms: Initiation, transport and consequences of surface circulation. Limnol. Oceanogr. 42 (5): 1039-1051. 51) Steidinger K.A., J.H. Landsberg, E.W. Truby & B.A. Blakesley (1996) The use of SEM for identification of small gyrnnodinioid dinoflagellates. Nova Hedwigia. 112:415-422. 50) Steidinger K.A., J.M. Burkholder, H.B. Glasgow, C.W. Hobbs Jr., J.K. Garrett, E.W. Truby, E.J. Noga & S.A. Smith (1996) Pfiesteria piscicida gen. et sp. nov. (Pfiesteriaceae fam. nov.), a new toxic dinoflagellate with a complex life cycle and behavior. J. Phycol. 32:157-164. 49) Steidinger K.A., E.W. Truby, J.K. Garrett & J.M. Burkholder (1995) The morphology and cytology of a newly discovered toxic dinoflagellate, pp. 83-88. In P. Lassus, G. Arzul, E. Erard- Le Denn, P. Gentien and C. Marcaillou-Le Baut (Eds.) Harmful Marine Algal Blooms. Lavoisier Publishing, Paris. 48) Burkholder J.M., H.B. Glosgow Jr. & K.A. Steidinger (1995) Stage transformations in the complex life cycle of an ichthyotoxic "ambush predator" dinoflagellate, pp. 567-572. In P. Lassus, G. Arzul, E. Erard-Le Denn, P. Gentien and C. Marcaillou-Le Baut (Eds.) Harmful Marine Algal Blooms. Lavoisier Publishing, Paris. 47) Faust M.A. & K.A. Steidinger (1995) Ecology of benthic dinoflagellates, pp.855-857. In P. Lassus, G. Arzul, E. Erard-Le Denn, P. Gentien and C. Marcaillou-Le Baut (Eds.) Harmful Marine Algal Blooms. Lavoisier Publishing, Paris. 46) Landsberg J.H., K.A. Steidinger & B.A. Blakesley (1995) Fish-killing dinoflagellates in a tropical marine aquarium, pp. 65-70. In P. Lassus, G. Arzul, E. Erard-Le Denn, P. Gentien and C. Marcaillou-Le Baut (Eds.) Harmful Marine Algal Blooms. Lavoisier Publishing, Paris. 45) Landsberg J.H., K.A. Steidinger, B.A. Blakesley & R. Zondervan (1994) Scanning electron microscopy study of dinospores of Amyloodinium cf. ocellatum, a pathogenic dinoflagellate parasite of marine fish, and comments on its relationship to the Peridiniales. Dis. aquat. argo 20: 23-32. 44) Steidinger K.A. (1993) Some taxonomic and biologic aspects of toxic dinoflagellates, pp. 1-28. In I. Facloner (Ed.) Algal Toxins in Seafood and Drinking Water. Academic Press, London. 43) Steidinger K.A. & O. Moestrup (1990) The taxonomy of Gonyaulax, Pyrodinium, Alexandrium, Gessnerium, Protogonyaulax, and Goniodoma, pp. 522-523. In E. Graneli, B. Sundstrom, L. Edler, and D.M. Anderson (Eds.) Toxic Marine Phytoplankton. Elsevier Science Publishing, Co., N.Y.
42) Steidinger K.A. (1990) Species of the tamarensis/catenella group of Gonyaulax and the fucoxanthin derivative-containing gyrnnodinioids, pp. 11-16. In E. Graneli, B. Sundstrom, L. Edler, and D.M. Anderson (Eds.) Toxic Marine Phytoplankton. Elsevier Science Publishing, Co., N.Y.
41) Steidinger K.A., C. Chase, J. Garrett, B. Mahmoudi, B. Roberts, C. Tomas & E. Truby (1990) The use of optical pattern recognition in dinoflagellate taxonomy, pp. 88-89. In E. Graneli, B. Sundstrom, L. Edler, and D.M. Anderson (Eds.) Toxic Marine Phytoplankton. Elsevier Science Publishing, Co., N.Y.
40) Steidinger K.A., C. Babcock, B. Mahmoudi, C. Tomas & E. Truby (1989) Conservative taxonomic characters in toxic dinoflagellate species identification, pp. 285-288. In T. Okaichi, D.M. Anderson, and T. Nemoto (Eds.) Red Tides, Biology, Environmental Science, and Toxicology. Elsevier Science Publishing, Co., N.Y.
39) Steidinger K.A. & G. Vargo (1988) Marine dinoflagellate blooms: Dynamics and impacts, pp. 373-401. In C. A. Lembi and J. R. Waaland (eds.) Algae and Human Affairs. Cambridge University Press, N. Y. 38) Fraga S., D.M. Anderson, I. Bravo, B. Reguera, K.A. Steidinger & C.M. Yentsch (1988) Influence of upwelling relaxation on dinoflagellates and shellfish toxicity in Ria de Vigo, Spain. Estuarine, Coastal and Shelf Science 27:349-361. 37) Vargo G.A., K.A. Carder, W. Gregg, C. Heil, E. Shanley, K.A. Steidinger & K.D. Haddad (1987) The potential contributions of primary production by red tides to the West Florida Shelf ecosystem. Limnol. Oceanogr. 32:762-767. 36) Steidinger K.A. & K. Tangen (1985) Taxonomy and systematics, pp. 534-537. In Anderson, D.M., White, A.W., and Baden, D.G. (Eds.) Toxic Dinoflagellates. Elsevier Science Publishers, N.Y.
35) Steidinger K.A. & W.E. Gardiner (1985) Phytoplankton of Tampa Bay: a review, pp. 147-183. In S.- A. F. Treat, J.L. Simon, R.R. Lewis III, and R.L. Whitman, Jr. (Eds.). Proceedings, Tampa Bay Area Scientific Information Symposium. Bellwether Press, MN. 34) Johansson J.O.R., K.A. Steidinger & D.C. Carpenter (1985) Primary production in Tampa Bay, Florida: a review, pp. 279-298.. In S.-A. F. Treat, J.L. Simon, R.R. Lewis III and R.L. Whitman, Jr. (Eds.). Proceedings, Tampa Bay Area Scientific Information Symposium. Bellwether Press, MN. 33) Jones A.C., S.A. Berkeley, J.A. Bohnsack, S.A. Bortone, D.K. Camp, G.H. Darcy, J.C. Davis, K.D. Haddad, M.Y. Hedgepeth, E.W. Irby Jr., W.C. Jaap, F.S. Kennedy Jr., W.G. Lyons, E.L. Nakamura, T.H. Perkins, J.K. Reed, K.A. Steidinger, J.T. Tilmant & R.O. Williams (1985) Ocean habitat and fishery resources of Florida, pp. 437-543. In W. Seaman, Jr. (Ed.) Florida Aquatic Habitat and Fishery Resources. Tech. Chap. Amer. Fish. Soc. 32) Steidinger K.A. & D.G. Baden (1984) Toxic marine dinoflagellates, pp. 201-249. In D. L. Spector (Ed.) Dinoflagellates. Academic Press, Orlando. 31) Steidinger K.A. & L.M. Walker (Eds.) (1984) Marine Plankton Life Cycle Strategies. CRC Publishing Co., Boca Raton, FL. 30) Steidinger K.A. (1983) Are-evaluation of toxic dinoflagellate biology and ecology, pp. 147-188. In F.E. Round & D. Chapman (Eds.) Progress in Phycological Research, Volume 2. Elsevier, North Holland, Amsterdam. 29) Dodge J.D. & K.A. Steidinger (1982) Dinophyceae: introduction and bibliography, pp. 691-697. In J.R. Rosowski & B.C. Parker (Eds.) Selected Papers in Phycology II, Phycol. Soc. Am., Lawrence, KA. 28) Steidinger K.A. & K.D. Haddad (1981) Biologic and hydrographic aspects of red tides. BioScience 31(11):814-819. 27) Steidinger K.A. & E.R. Cox (1980) Free-living dinoflagellates, pp. 407-432. In E.R. Cox (Ed.) Phytoflagellates: Form and Function. ElsevierlNorth Holland, NY. 26) Loper C., L.M. Walker & K.A. Steidinger (1980) A simple chromosome spread technique for unarmored dinoflagellates. Trans. Am. Microsc. Soc 99(3):343-346. 25) Steidinger K.A., L.S. Tester & F.J.R. Taylor (1980) A redescription of Pyrodinium bahamense var. compressa (Bohm) stat. novo from Pacific red tides. Phycologia 19(4):329-337. 24) Steidinger K.A. (1979) Collection, enumeration and identification of free-living marine dinoflagellates, pp. 435-442. In D.L. Taylor and H.H. Seliger (Eds. ), Toxic Dinoflagellate Blooms. ElsevierlNorth Holland, Inc., NY. 23) Tester L.A. & K.A. Steidinger (1979) Nearshore marine ecology at Hutchinson Island, Florida: 1971-1974. VII. Phytoplankton 1971-1973. Fla. Mar. Res. Publ. No. 34:16-61. 22) Walker L.M. & K.A. Steidinger (1979) Nearshore marine ecology at Hutchinson Island, Florida: 1971-1974. VI. Plankton dynamics, 1971-1973. Fla. Mar. Res. Publ. No. 34:1-15. 21) Walker L.M. & K.A. Steidinger (1979) Sexual Reproduction in the toxic dinoflagellate, Gonyaulax monilata. J. Phycol. 15(3):312-315. 20) Steidinger K.A., E.W. Truby & C.J. Dawes (1978) Ultrastructure of the red tide dinoflagellate Gymnodium breve 1. General description. J. Phycol. 14(1):72-79. 19) Steidinger K.A. & E. Balech (1977) Scrippsiella subsala (Ostenfeld) comb. novo (Dinophyceae) with a discussion of Scrippsiella. Phycologia 16(1):69-74. 18) Steidinger K.A. (1975) Implications of dinoflagellate life cycles on initiation of Gymnodinium breve red tides. Environ. Lett 9(2):129-139. 17) Steidinger K.A. (1975) Basic factors influencing red tides, pp. 153-162. In V.R. LoCicero (Ed.) Proc. 1st Internl. Conf. Toxic Dinoflagellate Blooms. Mass. Sci. Found., Wakefield, MA. 16) Murphy E.B., K.A. Steidinger, B.S. Roberts, J. Williams & J.W. Jolley (1975) An explanation for the Florida east coast Gymnodinium breve red tide of November 1975. Limnol. Oceanogr. 19(3):481-486. 15) Tomas R.N., E.R. Cox & K.A. Steidinger (1973) Peridinium balticum (Levander) Lemmermann, an unusual dinoflagellate with a mesocaryotic and eucaryotic nucleus. J. Phycol. 9(1):91-98. 14) Steidinger K.A. & E.A. Joyce Jr. (1973) Florida red tides. Fla. Dep. Nat. Resour. Mar. Res. Lab., Educ. Ser. No. 17. 26pp. 13) Steidinger K.A., M.A. Burklew & R.M. Ingle (1973) The effects of Gymnodinium breve toxin on estuarine animals, pp. 179- 202. In D. Martin and G. Padilla (Eds.) Marine Pharmacognosy, Academic Press, NY. 12) Steidinger K.A. (1973) Phytoplankton ecology: a conceptual review based on Gulf of Mexico research. CRC Crit. Rev. Microbiol. 3(1):49-68. 11) Steidinger K.A. (1973) Phytoplankton, pp. II E-l -II E-17. In A summary of knowledge of the eastern Gulf of Mexico, 1973. Coordinated by the State University System of Florida's Institute of Oceanography under a May 1972 American Petroleum Institute contract. 10) Steidinger K.A. & R.M. Ingle (1972) Observations on the 1971 summer red tide in Tampa Bay, Florida. Environ. Lett.3(4):271-278. 9) Steidinger K.A. (1972) Dinoflagellate distribution, pp. 14-15. In Bushnell, V.C. (Ed.) Chemistry, primary productivity and benthic algae of the Gulf of Mexico. Serial Atlas of the Marine Environment, Folio 22. Am. Geograph. Soc., NY. 8) Steidinger K.A. & J.F. van Breedveld (1971) Benthic marine algae from ~aters adjacent to the Crystal River electric power plant (1969 and 1970). Fla. Dept. Nat. Resour. Mar. Res.J..ab. Prof. Pap. Ser. No. 16. 46pp. 7) Steidinger K.A. (1971) Gonyaulax balechii sp. nov. (Dinophyceae) with a discussion of the genera Gonyaulax and Heteraulacus. Phycologia 10(2/3):183-187. 6) Steidinger K.A. & J. Williams (1970) Dinoflagellates. Mem. Hourglass Cruises. Vol. 2. 251 pp. 5) Steidinger K.A. (1968) The genus Gonyaulax in Florida waters. I. Morphology and thecal development in Gonyaulax polygramma Stein, 1883. Fla. Bd. Conserv. Mar. Lab. Lefl. Ser- Vol. 1, Pt. 1, No.4. 5 pp. 4) Steidinger K.A., J.T. Davis & J. Williams (1967) Dinoflagellate studies on the inshore waters of the west coast of Florida, pp. 4-47. In Red Tide Studies, Pinellas to Collier Counties, 1963-1966. Fla. Bd. Conserv. Mar. Lab., Prof. Pap. Ser. No.9. 3) Steidinger K.A., J.T. Davis & J. Williams (1967) A key to the marine dinoflagellate genera of the west coast of Florida. Fla. Bd. Conserv. Mar. Lab. Tech. Ser. No. 52. 45 pp. 2) Steidinger K.A. (1967) The genus Pyrophacus, with a description of a new form. Fla. Bd. Conserv. Mar. Lab. Lefl. Ser. Vol. 1, Pt. 1, No.3. 8 pp. 1) Steidinger K.A., J.T. Davis & J. Williams (1966) Observations of Gymnodinium breve Davis and other dinoflagellates, pp. 8-15. In Observations of an unusual red tide, a symposium Fla. Rd. Conserv. Mar. Lab., Prof. Pap. Ser- No.8.